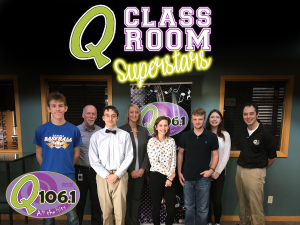 Q 106.1’s first Classroom Superstar of the year was Mr. Brent Whelan’s Broadcast Media class from Nichols Career Center in Jefferson City. Our second Q106.1 Student Superstar was Lydia Siebert from Our Lady of the Lourdes Interparish School in Columbia. 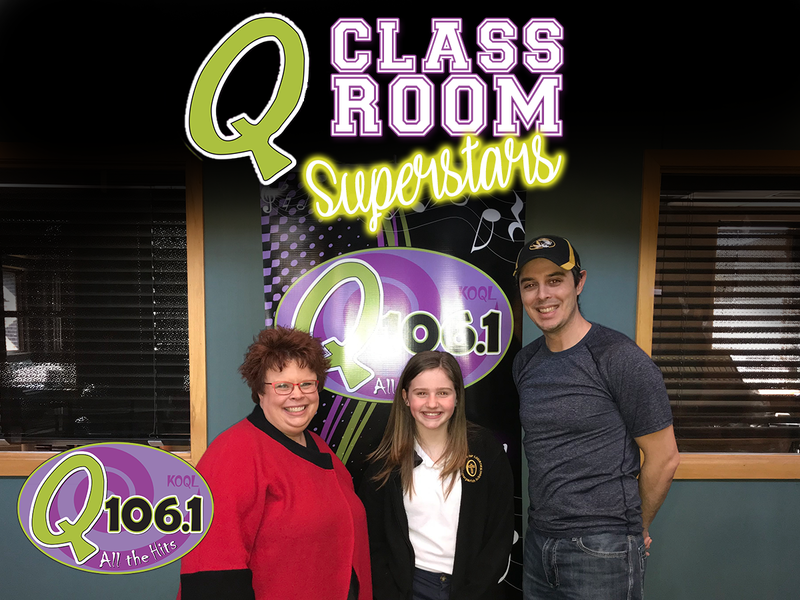 She was nominated by school counselor Julia Heilich: “As a school counselor, I spend hours upon hours teaching my students the importance of character. In our classrooms, on our sports teams, and in the community, I encourage students to be kind. When I reflect on my four years at OLLIS, Lydia Siebert comes to mind. Lydia is now entering that pre-teen phase of life, when peers become much more important than what adults think. And yet, Lydia is kind to all. She exudes respect, Christlike behavior, integrity and compassion. She says hello when you pass her in the hallway. She includes fellow classmates if they felt left out of a group. She acts as a true role model for her little sister, Kennedy. 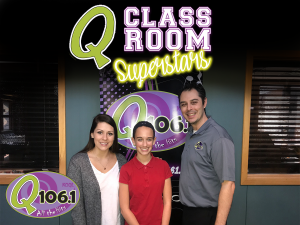 Alyssa Trachsel, 5th grader from Our Lady of the Lourdes Interparish School was nominated by her teacher Ms. Tiffany Benson. Nominate your Student or Class Here! Could be one student, or your whole classroom!